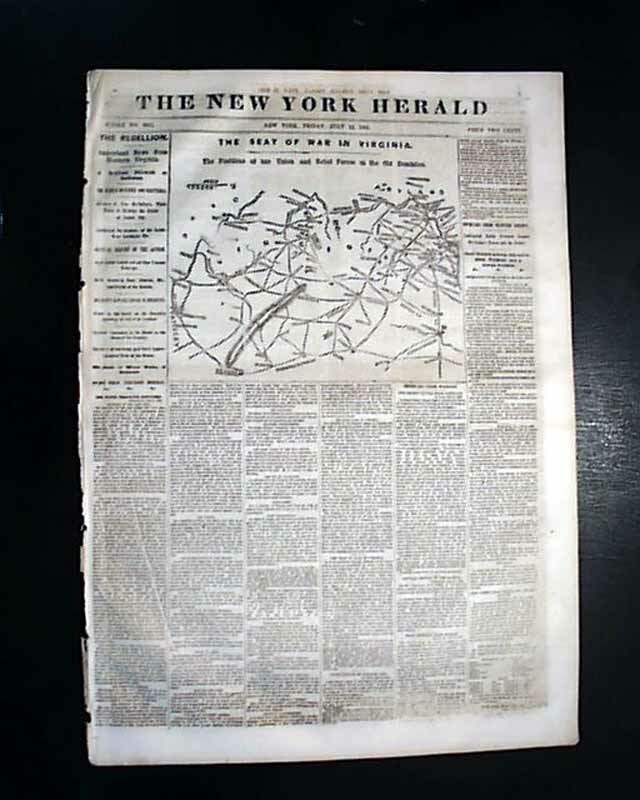 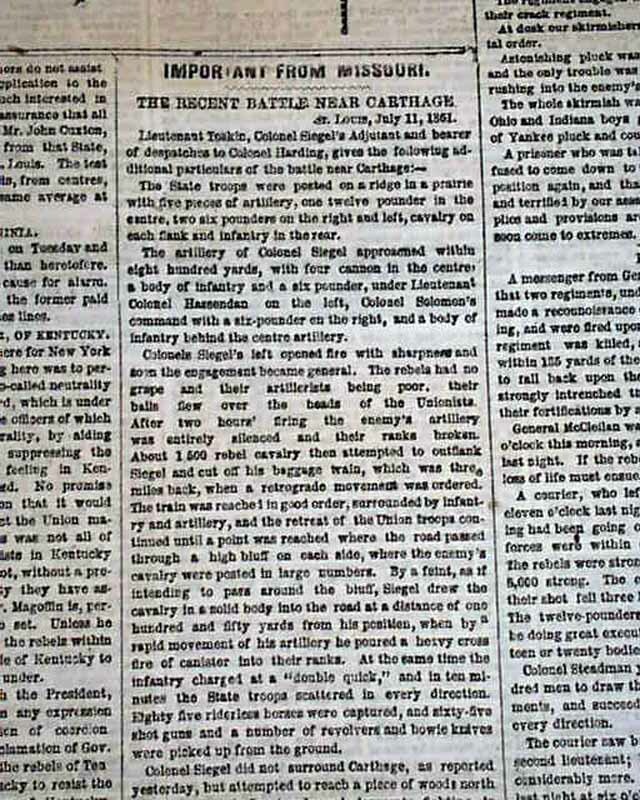 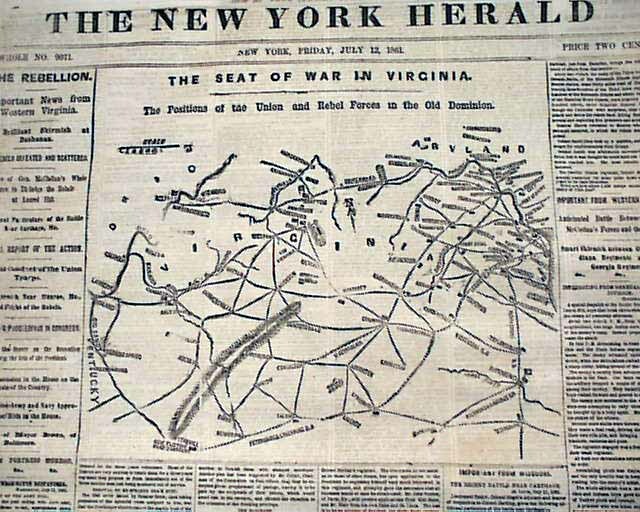 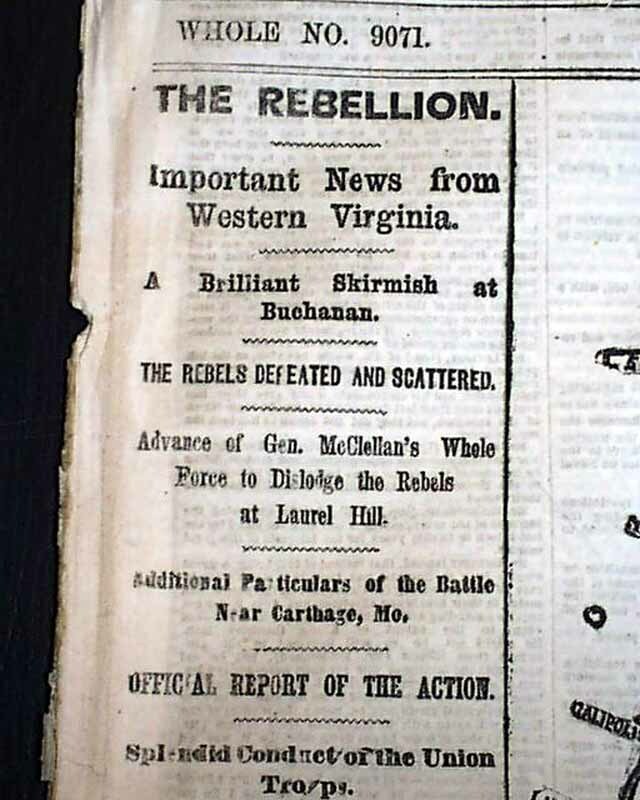 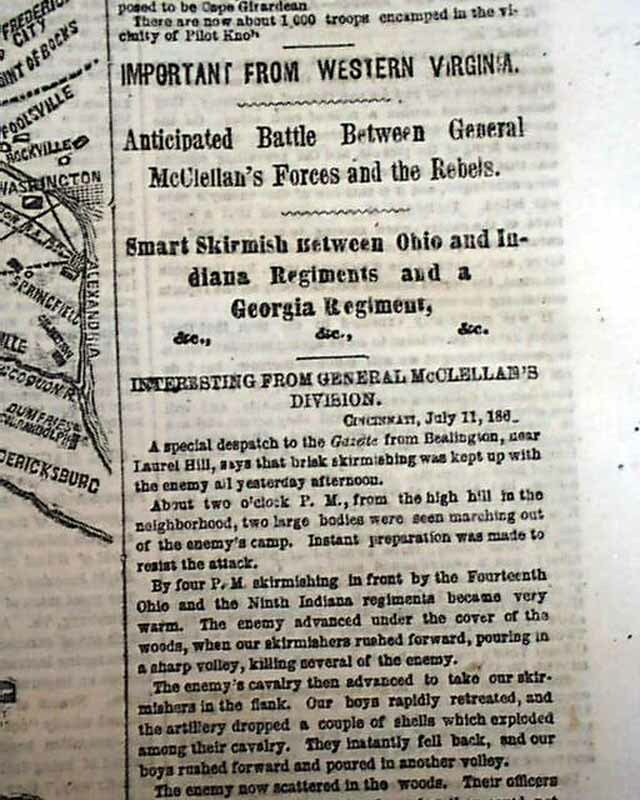 The front page features a large Civil War map headed: "The Seat Of War In Virginia" with a subheading: "The Positions of the Union and Rebel Forces in the Old Dominion"
Half of the first column is taken up with Civil War heads including: "THE REBELLION" "Important News From Western Virginia" "A Brilliant Skirmish at Buchanan" "The Rebels Defeated & Scattered" "Additional Particulars of the Battle Near Carthage, Mo." 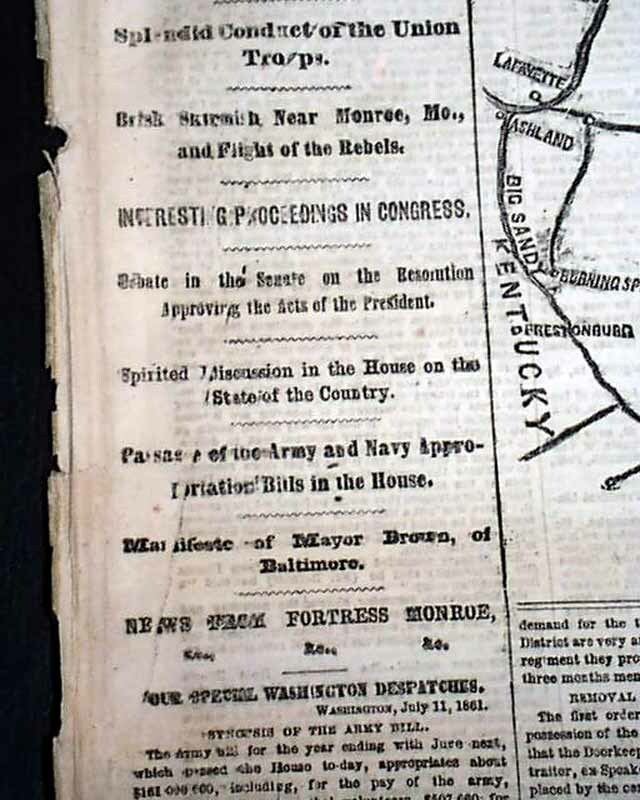 "Official Report of the Action" "Splendid Conduct of the Union Troops" "Brisk Skirmish Near Monroe, Mo., and Flight of the Rebels" with much more (see). 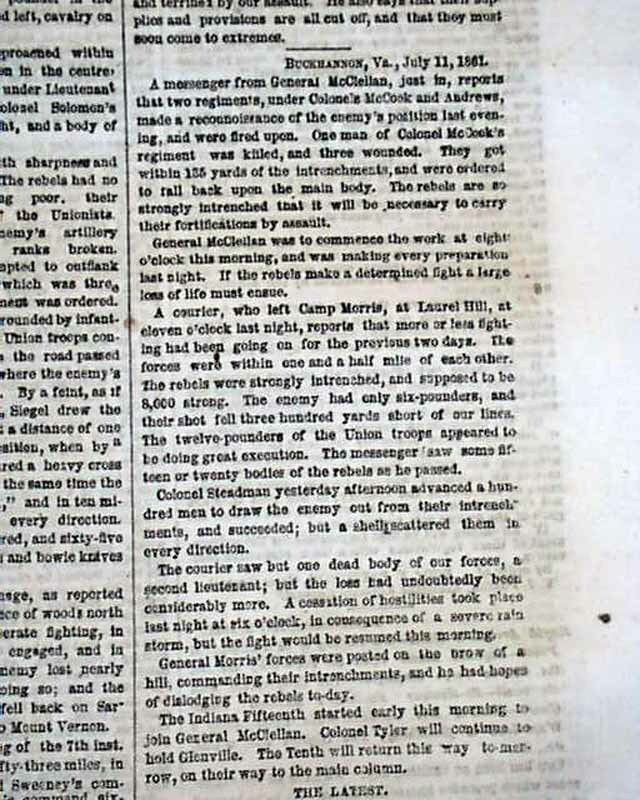 Eight pages, a little spine wear, otherwise nice.